Phil Boyer is a Principal at Crosslink Capital, where he focuses on early stage investments in enterprise software (data applications, infrastructure) and frontier technology. At Crosslink, he works closely with portfolio companies such as NodeSource, DataStax, Descartes Labs, Molekule, Enview, ProtectWise, Verodin, and BetterUp. 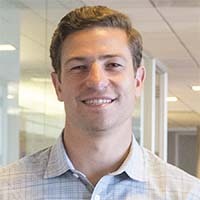 Prior to joining Crosslink in 2014, Phil was an investor with Tenfore Holdings, a venture capital firm in New York City that focuses on early stage investments in big data and commerce technologies. Before starting his career in venture, Phil worked in equity research at Credit Suisse and RBC covering Internet companies. In his free time, Phil is a surfer, a skier, and a drummer in a local band in SF.